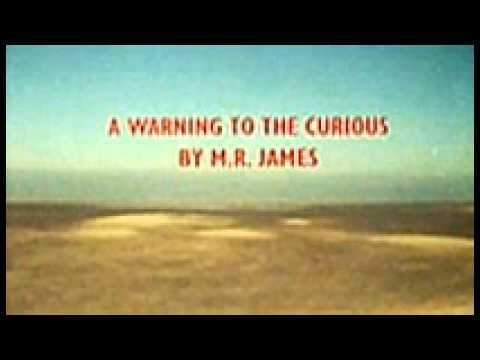 M. R. James wrote the best ghost stories ever, and one of those gems is A Warning to the Curious. This was made into a short film (50 minutes long) some years ago and currently available on Youtube. How good an idea is it to dig up an ancient artifact supposedly protected by a supernatural guardian? Even outside of an M.R. James story, probably not. A Warning to the Curious is about what happens to an amateur archaeologist who ignores the warning. The thing that makes this little movie go is its spectacular photography and ominous-looking locations. If you were looking for ghosts anywhere, these places would be where you’d find them. Flat fens where it’s hard to tell where the beach ends and the water begins, stone buildings that look like they grew out of the landscape a thousand years ago, a train station smack in the middle of nowhere–sit and look. You won’t see places like those every day. We watched in this afternoon, to take our minds off stressful things, and it does do that. It does it very well. This entry was posted on Saturday, October 13th, 2018 at 5:10 pm	and tagged with A Warning to the Curious, ghost stories, M.R. James, scary movies and posted in Just for Fun, Movie Reviews. You can follow any responses to this entry through the RSS 2.0 feed. Thanks for this, loved the story and didn’t know there was a film! Something I’ll look forward to! Ah! Ghost Stories of an Antiquary. It would appear that “Oh, Whistle, and I’ll Come to You, My Lad” is also available on YouTube. Around 42 minutes. Seriously scary stuff. We watched that yesterday, too–that great black-and-white short film with Michael Hordern.